Karina's Kreations: Reserve Your Paper Share Today! Reserve Your Paper Share Today! 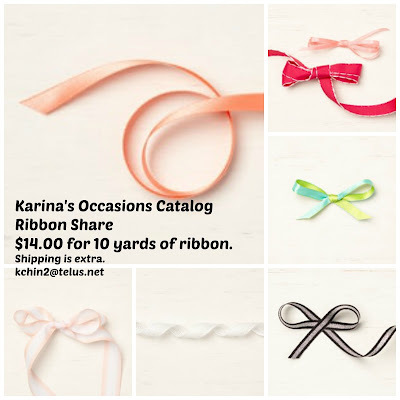 The Occasions catalog starts Jan 3 and there are so many beautiful designer series papers that I will run a paper share. 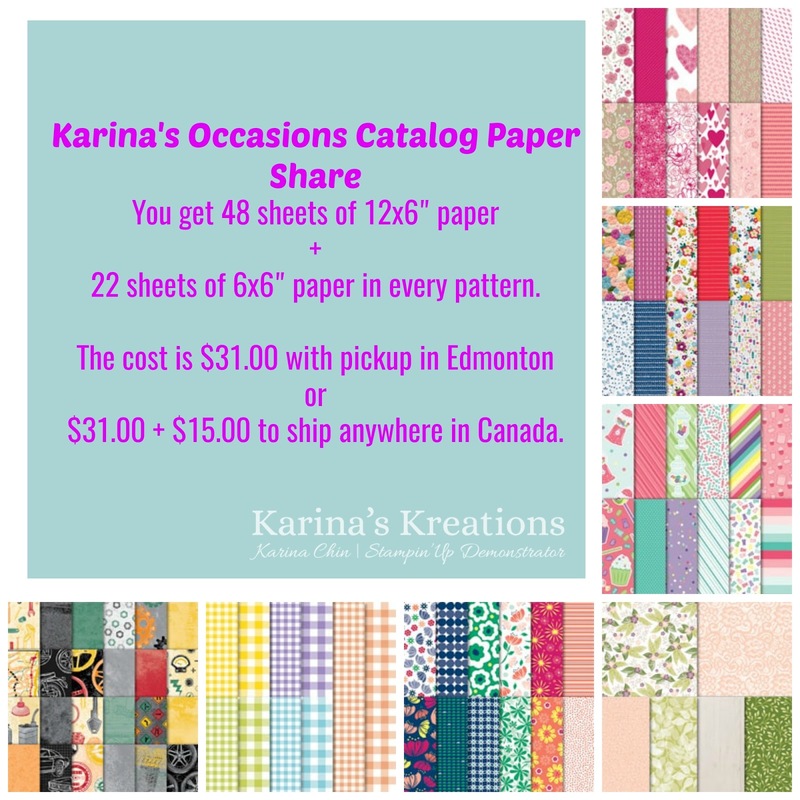 The cost is $31.00 and includes 48 sheets of 6" x 12" Designer Series Paper and 22 sheets of 6" x 6" designer series paper. Live in Edmonton, you're welcome to pick it up. Shipping is extra and I can ship anywhere in Canada. I am also running a Ribbon Share and the cost is $14.00 and includes10 yards of ribbon. Shipping is extra. Please order your shares here! I will either send you a paypal invoice or you can Email Money transfer me the money. Check out this video to see all the new gorgeous designer series paper.